Bélgica Adela Mirabal, better known in her native Dominican Republic as Doña Dede, died Saturday, February, 1, 2014 of pulmonary complications at a hospital in Santo Domingo. She was 88. Doña Dede was the last surviving of four sisters known as the butterflies that fought to overthrow one of the most blood-thrust dictators in Latin America. On November 25, 1960, three of the four Mirabal sisters were killed by the dictatorship of Rafael Leonidas Trujillo, setting up an uproar in the country that ultimately led to the assassination of the dictator in May 30, 1961. The story of the Mirabal sisters has been told numerous times. Notable American-Dominican author Julia Albarez told their story in her 1994 best-selling novel In the Time of the Butterflies. This novel was the basis for the 2001 film of the same name, starring Salma Hayek, Edward James Olmos, and Marc Anthony. In 2010, Michelle Rodriguez starred in Tropico de Sangre, another film depicting the lives of the Dominican heroines. 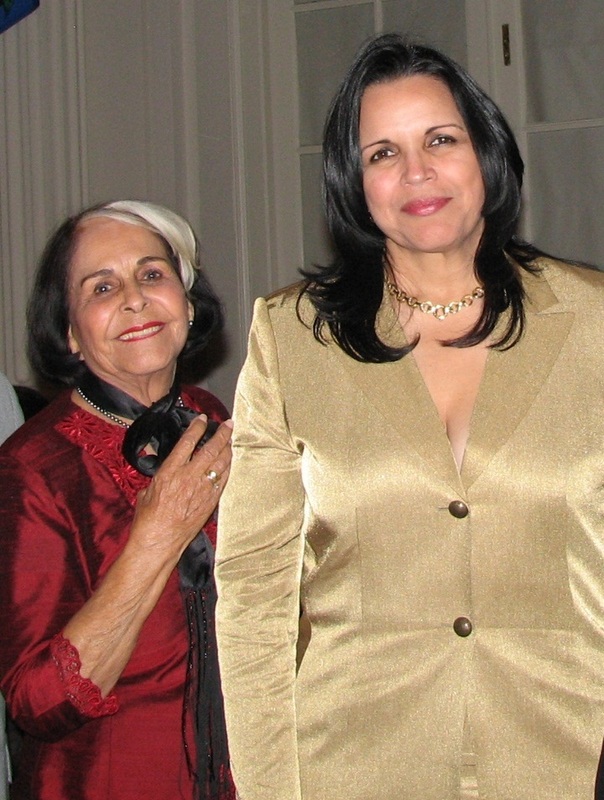 In 2009, Chilean film maker Cecilia Domeyko also produced a documentary of the Mirabal Sisters. In the documentary, Code Name: Butterflies, filmmaker Domeyko interviews family, personalities and friends that give a recount of the lives of the deceased sisters and their movement to restore democracy in the Dominican Republic. In 1999, the sisters received recognition by the United Nations General Assembly, who designated November 25, the day the sisters were killed, as the International Day for the Elimination of Violence against Women. The province of Salcedo in the Dominican Republic, where the sisters were born and lived until they died, has been renamed Hermanas Mirabal, in honor of the sisters. Born on February 29, 1925 to a middle class family in the small province of Salcedo, in the Dominican Republic, Doña Dede was the second child of four sisters. Unlike her sisters, she never attended college, and took instead a more traditional homemaker role, including helping to run the family business in agriculture and cattle. She married and had three children, one of which, Jaime David Fernandez, is the current Minister for Environment and Natural Resources and former vice president of the Dominican Republic. After the death of her sisters, Doña Dede devoted her life to the legacy of her sisters. She became mother to her sisters' six children and has traveled the world telling her sisters' story. In 1992, she founded the Mirabal Sisters Foundation and subsequently the Mirabal Sisters Museum in 1994, in her native city of Salcedo. The museum is now a major tourist attraction. For a long time she was known as the last surviving Mirabal sister. A title that many times sparked the obvious question of how she was able to survive, to which she would often reply, "so I could tell their story!"